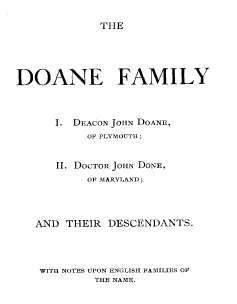 The book, "The Doane Family; I. Deacon John Doane of Plymouth, II. 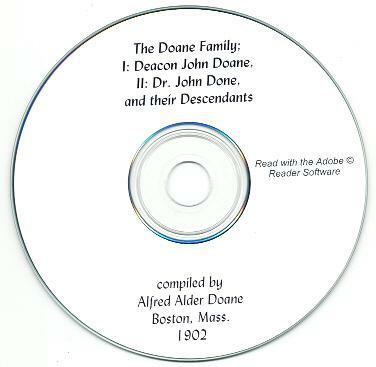 Doctor John Done of Maryland; and their Descendants," compiled by Alfred Alder Doane, 1902, Boston, Massachusetts. 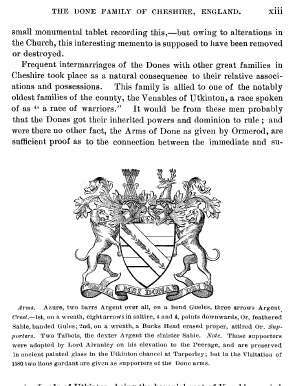 It is an early Done/Doane Genealogy and is filled with genealogy data about the descendants of the two Doanes/Dones indicated in the title, Doanes/Dones in England, and allied families. Please note: This is not a paper book, it is a scan of the original paper book into the digital Adobe PDF format, written on a CD-ROM. You read this book on your computer using the free Adobe Reader software. It is a digital version of a hard to find book. If you could find a copy of the 1902 printed book, it would be expensive. The book is indexed, but the index is not hyperlinked in the Adobe format. 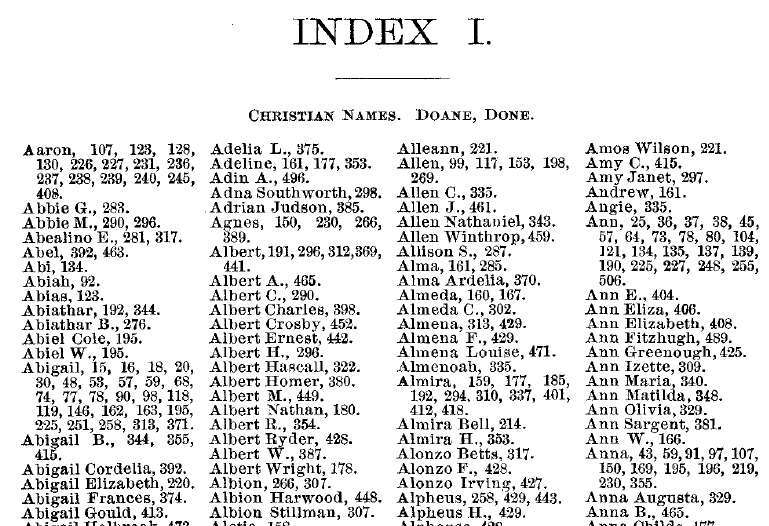 It can be fully searched using the Adobe search function in the reader - and you can find your name that way or by going to the page indicated by the printed index. The Table of Contents is linked. 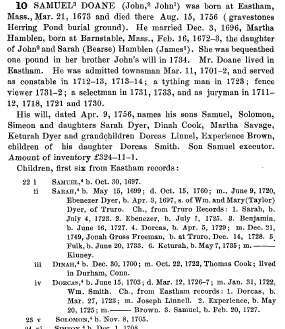 There are hundreds of Doanes & Dones listed - there are hundreds of surnames other than Doane/Done listed (allied families). 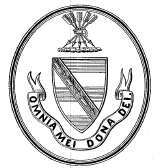 There are many illustrations and portraits. Please take a look at the images for an idea of the contents. 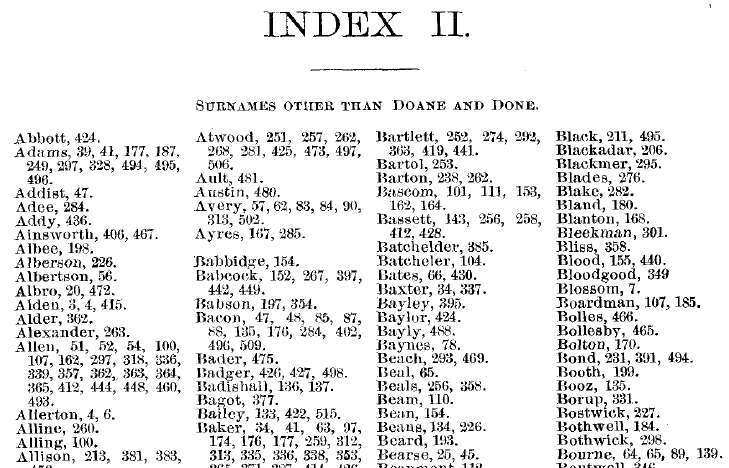 The book has 537 pages, including the index.